Short on time? Are the days filling up with appointments and meetings and other things life is throwing at you? It is very important to remember that physical exercise and personal time can greatly reduce stress and increase productivity. It is also important to be sure you meet deadlines and fulfill your responsibilities to yourself, your work and your family. Time may not always be on our sides, so I suggest incorporating a simple 10 minutes of activity one to three times during the day. Ten minutes is not a very long time to take yourself away from work or stressful situation, but it is enough time to get a quick burst of physical activity to increase your energy throughout the day. Something as simple as walking 10 minutes at lunch can be a great way to move your body and get your blood flowing. Want a little bit more in a workout? 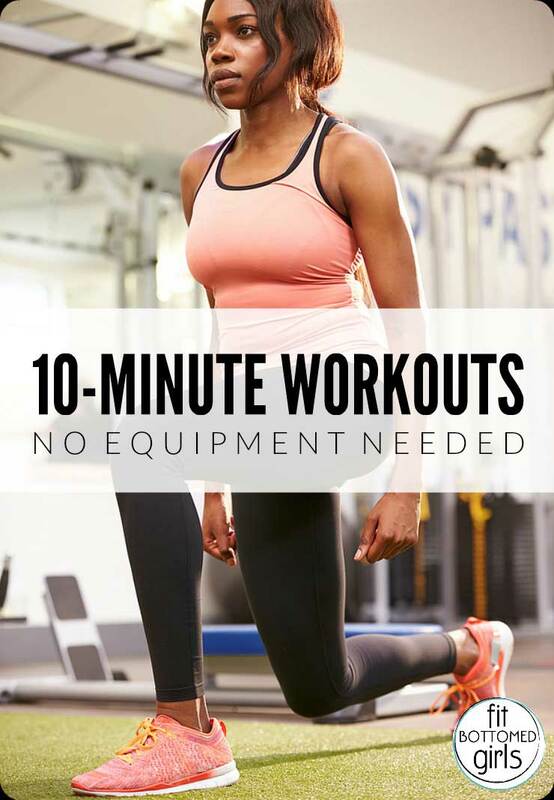 Try one of these 10-minute workouts: they’re all bodyweight circuits. No equipment, no excuses! Take a look at your calendar … do you have 10 minutes to spare? Yes? Perfect, choose a circuit! No? Set your alarm 10 minutes early tomorrow and do Circuit 2 before you even get out of bed! (Yes, the entire circuit can be done lying down). Thanks for sharing such post, it’s really exciting, I am looking forward to trying this.